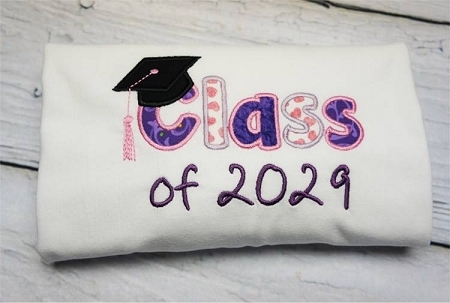 <br>We've decided to create a unique way for you to capture your Little One's growth at every new school year. 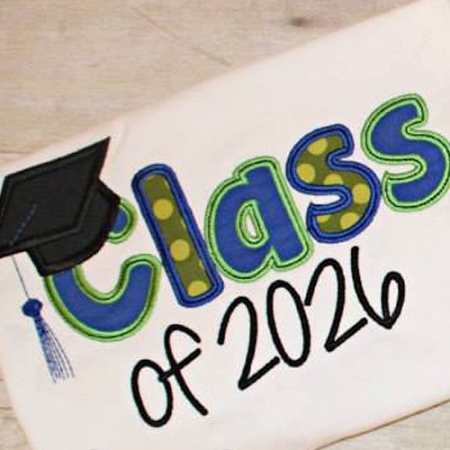 This is great when starting Kindergarten but this tradition can start at any time. 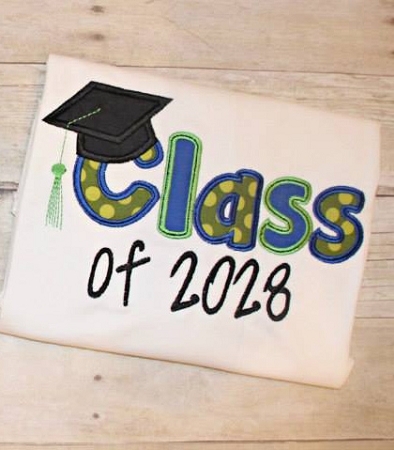 All you have to do is provide the year they will graduate highschool, if the shirt is for a boy or a girl, size and colour. 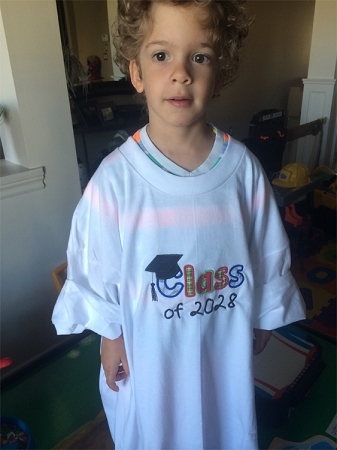 Every year before they start their new grade...What a memorable way to capture their growth and their success...You will literally watch your Little One fill out in their shirts! And of course this little guy insisted on taking a picture with his other shirt underneath! Every design will be unique to colours and fabrics! Once processed your order cannot be returned. Machine washable, delicate and hand dry.